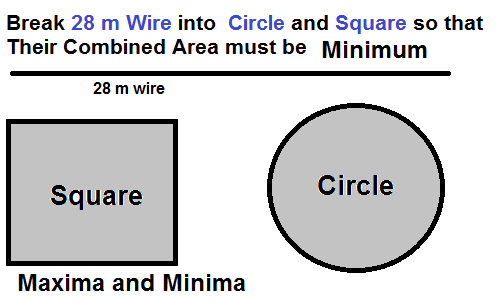 How should the wire of 28 m be cut so that the combined area of the circle and square is as small as possible ? A piece of wire 28 cm long is to be cut into two pieces. 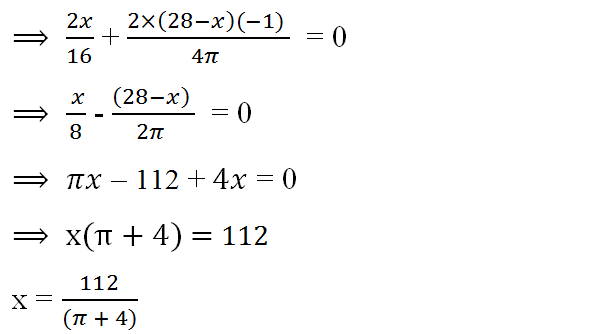 One piece is to be made into a circle and another into a square. 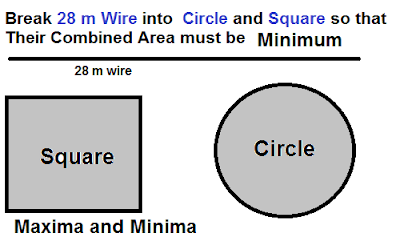 How should the wire be cut so that the combined area of the two figures is as small as possible? Let the wire be cut at a distance of x meter from one end. Therefore then two pieces of wire be x m and (28-x) m.
Now 1st part be turned into a square and the 2nd part be be made into a circle. Since 1st part of the wire is turned into square. 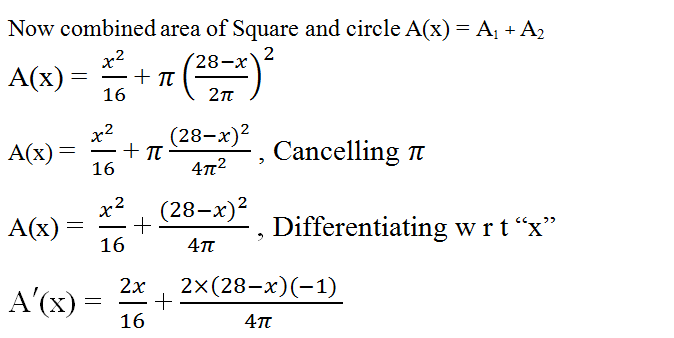 then its perimeter will be x m.
How to find common area of two parabolas. Any content/s of this blogs post/s may not be reproduced in any form without written my permission. Powered by Blogger. Want to receive new post's notification ?